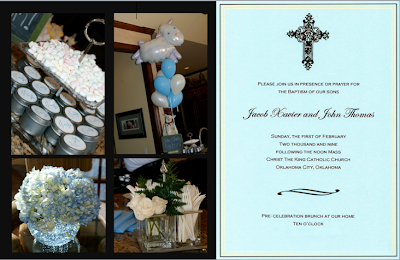 We hosted a pre-celebration brunch at our home before the Baptismal Mass for guest to attend. The brunch menu included: Starbucks Coffee and OJ, along with, an assortment of baked goods, berries and homemade breakfast casseroles! The guests were given "church mints" in personalized tins to take with them to Mass. The colors of the day were light blue and cream, so the house was filled with blue hydrangeas and ivory roses along with light blue and ivory balloons. During the pre-celebration brunch and Mass, the boys wore monogrammed blue rompers. 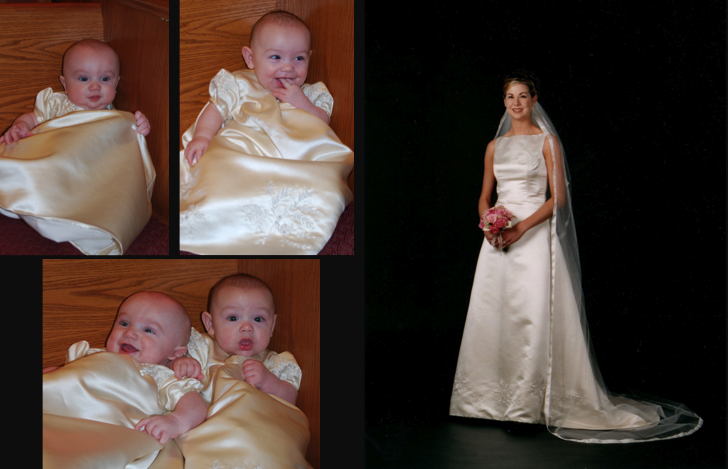 During the baptism, the boys wore gowns that were custom made for them from my wedding dress. gown has the boys initials and baptismal date monogrammed on the inner most layer. The gowns are made from the same pattern, but the embroidery from my dress make the gowns slightly different and unique! My wish is that the boys will pass these baptismal gowns on for generations to come. The gowns will be stored in a box with a portrait of me in my wedding dress and a hand written letter. 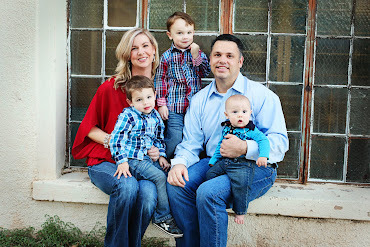 Katy and Nathan Shapard have been so loving and caring to us as we transitioned into parenthood. They hold a special place in our hearts and we were so honored when they agreed to become Godparents to our precious boys. We were so blessed to have such loving family and friends in attendance to celebrate Jake and Jack's baptism. Johnny and I bringing forth our precious boys to be baptized and making the commitment to raise them in the Christian faith. The Baptismal Candles, a sign of the light of Christ coming into Jake and Jack's life!! Parents who ask that their child be baptized into Christ have the most significant part to play in the passing on the Christian life to their offspring. It is through them that the child will come to know the love of God. It is through them that the child will learn to be beyond the family circle and become involved in the larger community in which he/she lives. Through the parents, the child will acquire an awareness of being a living and active member of the church. This is lovely! As usual, you nailed the fine details. The invites are incredible and I love that you repurposed your wedding gown. I wanted to do the same, but we didn't have time to get it done. And I really love the handwritten note as well! You did a beautiful job with their baptism. It brought a tear to my eye. Love the simple, yet well thought out details. And I adore that you used your wedding dress. This entry is so touching and heartfelt. I love it. I got a little teary-eyed.